An unexpected guest visited Milkwood Manor on Easter Friday and had everybody astir. 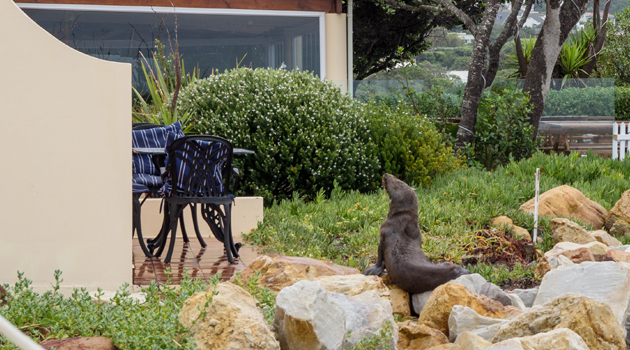 The reason for this impromptu visit from a Cape Fur Seal evoked all kinds of speculation. Perhaps it was looking for a tasty morsel from the Lemon Grass Seaside Restaurant; the Sole Almondine would set any mouth watering. Or perhaps it was looking for a comfortable place to take a nap, having heard that Milkwood Manor is a four-star graded luxury guesthouse. And that was exactly what it did. After a short photo-shoot, and, unfortunately, no meal from the unyielding restaurant staff, it settled in for the afternoon and snoozed until the tide came in. Begging for food or accommodation? 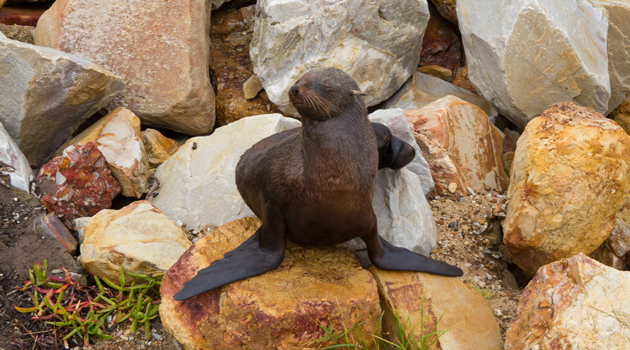 The Cape Fur Seal is an inquisitive and friendly animal when in water, and will often accompany scuba divers. On land, they are far less relaxed and tend to panic when people come near them. But not our guest. On this day he couldn’t be bothered by people gawking at him. And this, as any person working in the hospitality industry would tell you, is a good sign. It means we are doing our job right: to make any guest, no matter how ugly, feel welcome and “at home”. You too can swim with these delightful and inquisitive creatures. Visit Offshore Adventures. Or let us make your booking for you and you receive a 10% discount. Click here for more seal stories or view our seal video here. 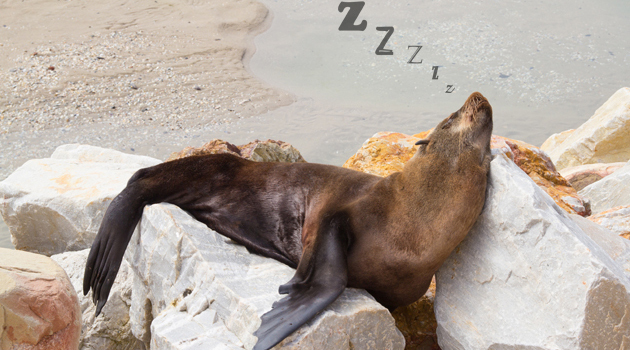 2 Responses to An unexpected guest: Seal! i’m an amateur blogger, and i appreciate your work a lot, any good tips for me?